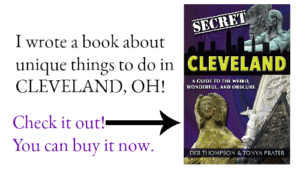 The Traveling Praters presents Travel Inspired Living. This post contains affiliate links. 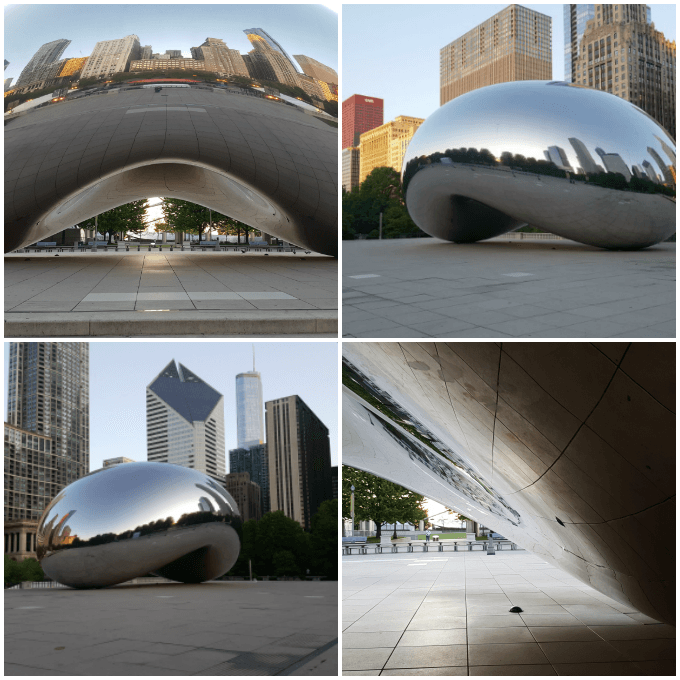 When I learned that I’d be traveling to Chicago on business a few months ago, I was thrilled that I was finally going to be able to see the Chicago Bean, otherwise known by its formal name, Cloud Gate. To me, the iconic stainless steel structure that resembles a giant legume is the mother lode of all roadside attractions. I’m not sure why it fascinates me so, but it does. As a result, I figured out the best way to get a picture at the Chicago Bean. I can’t even tell you how excited I was to think about getting a photo of the artwork. And yes, even though I call it a roadside attraction, I still think of it as an impressive piece of art. The Chicago Bean is definitely not some random structure, but a beautifully created monument. 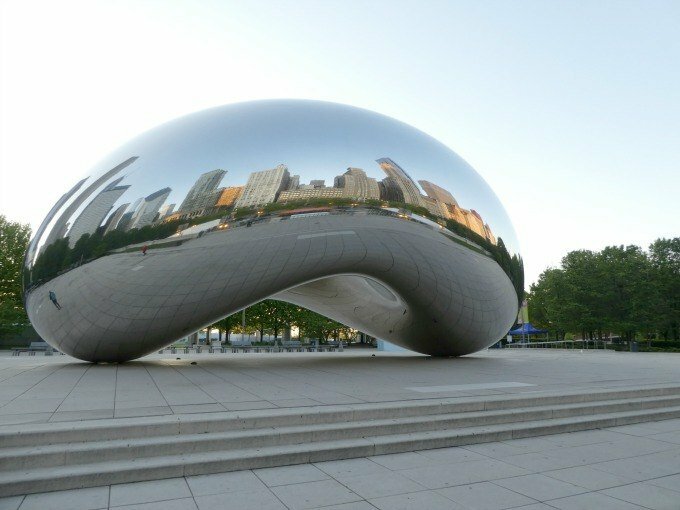 One of the main focal points in Millennium Park, Cloud Gate was designed by acclaimed artist, Anish Kapoor. His intent was to create a piece of art in the park that would engage the Chicago skyline so visitors could see the tall buildings reflected in a sky of floating clouds. I’d say his mission was accomplished. 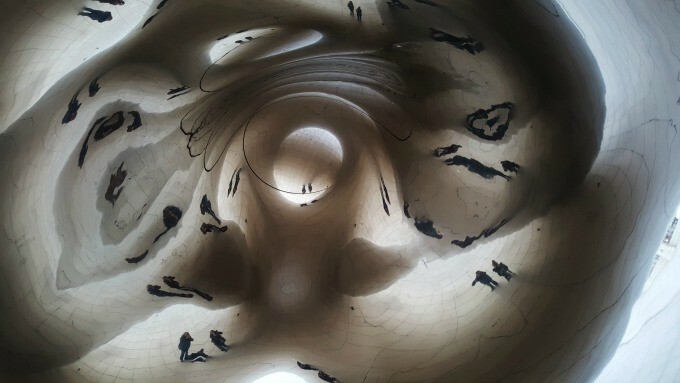 Not only is the artwork engaged with the sky, but you’ll find hundreds of tourists and Chicagoans alike engaging with the object that appears as though it’s from out-of-this-world on any given day posing, peering and touching the Bean. I’d say his sculpture is a raging success. 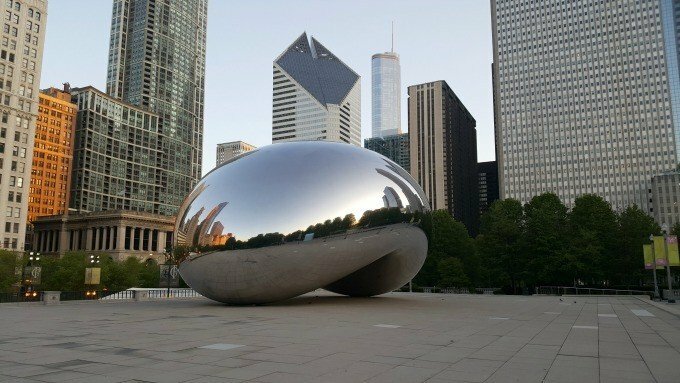 The Chicago Bean was constructed in 2006 of 168 stainless steel plates that were cut, shaped, welded and polished into gleaming perfection. It weighs in at a whopping 110 tons! Not only was I there to admire it, I was there to take a photo of it. There was just one problem. I didn’t want anyone else in the photo. Have you seen photos of the bean? There are people, like ants all over the place. This was going to be a hard feat to tackle, or so I thought. It turns out, if you want a great photo of the bean minus the crowds, you simply need to wake up at the crack of dawn. Literally. I set my alarm for 4:30 a.m. and grudgingly pulled myself from my nice, warm, comfy bed to meet my friend and together, we walked along Michigan Avenue intent on our mission to capture the perfect shot or rather, the best photo we could take according to our abilities. Chicago is full of amazing architecture and we got a bit distracted on our route. I could have spent all day photographing the Tribune Tower, but we finally made it to the Bean as it was nearing six in the morning. Get there before anyone else arrives at The Chicago Bean! Did I mention that I am not a morning person? If I hadn’t thought to coerce a friend to join me, I probably would have hit snooze and rolled over without a thought. And I would have been so disappointed. Anyway, we arrived in Millennium Park with hardly a sole in sight. There seemed to be a few homeless people and another photographer who was probably upset that we’d shown up. We tried to stay out of his way while we explored Cloud Gate from all angles. The statue sits in the middle of a plaza, so you have 360-degree access. 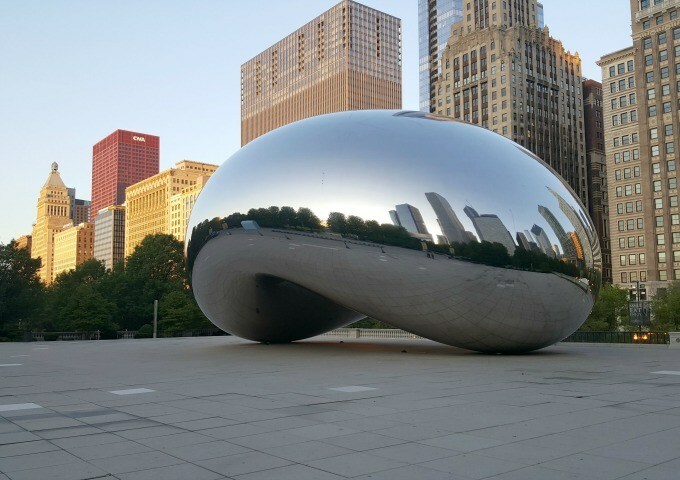 So my advice, if you want to get a great photo of Cloud Gate during the summer, without others in the photo, plan to arrive by six o’clock so you can be there as soon as The Chicago Bean opens. Yikes. I know that’s early. By 6:30 you’ll find quite a few people milling around. If you don’t mind a few dozen people, visit before 8 in the morning. After that, my Chicago friend tells me foot traffic to the sculpture picks up considerably. The light in the morning, just after sunrise is amazing, but honestly, if you don’t mind the crowds, I don’t think there is a bad time to photograph the bean. So my tip? Pull your rear end out of bed at the crack of dawn for a great sunrise photo in the soft lighting with no to little bystanders. If you, unlike me, would rather have a photo full of people and are intrigued by how they interact with the sculpture, visit any other time of day. 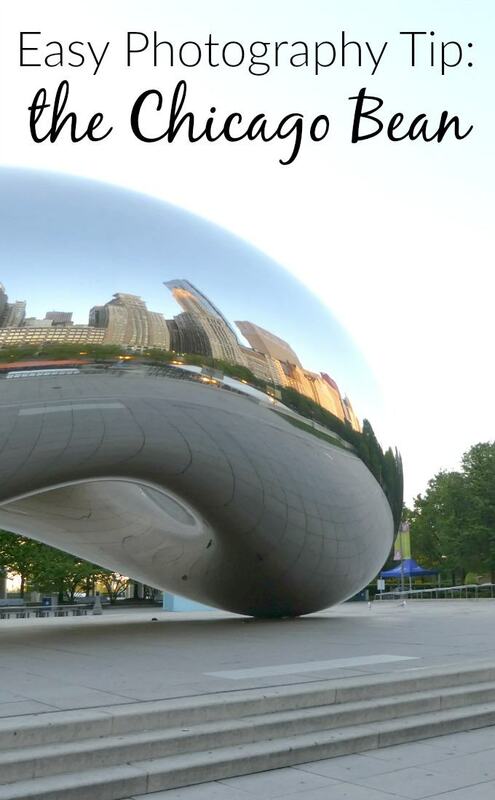 The Chicago Bean is open daily 6 am to 11 pm. Wouldn’t it be fun to capture it in different weather and seasons? Imagine the bean covered with snow. Have you been to the Chicago Bean? Do you have any tips? Are you planning to spend a few days in Chicago? Find the perfect Chicago hotel at the lowest price. Check hotel rates at TripAdvisor! Looking for more things to do in Chicago? Learn how you can Save up to 53% on Chicago’s 5 best attractions with CityPASS. Shop Now! 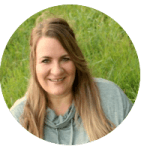 And feel free to take a look at this post as well. Just click on the photo to go to that post. Great shot, so worth that 4:30 alarm.. not sure if I will be so motivated though!! I have always wanted to go to Chicago and see the Chicago Bean. My Daughter and I are planning a trip to the area next year. I love The Bean too. My daughter says it’s weird that I do, lol. I have a million people in my pictures. I’d like one with no one. 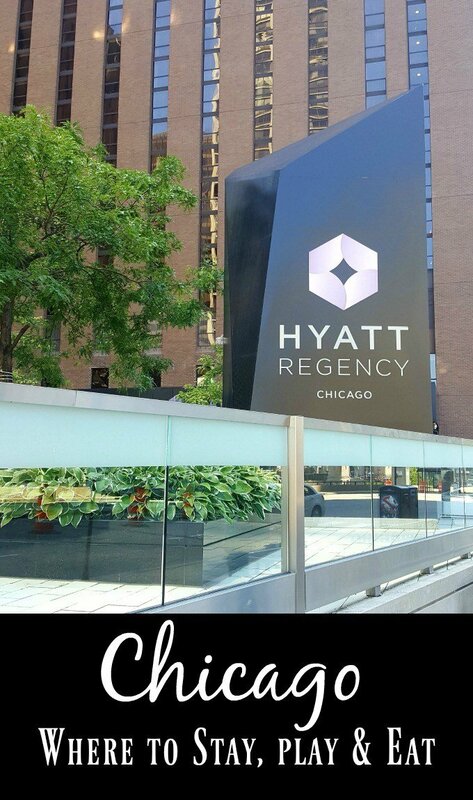 We have stayed at the Hyatt as well. It’s so close and perfect distance to and from shops. This is my first time learning about and seeing the chicago bean. Wow! What an amazing structure and sight. I love the reflections, I can see myself taking lots of amazing photos during the day when everyone is standing nearby, that’s my favorite view. I can remember the first time I saw it. Breathtaking as always, I love the concept behind it. All in the name of appreciating beauty! Thanks for the lovely history! it’s so shiny! I think that’s why it fascinates me haha I’m sure that’s part of it for you too! It’s a proven fact that shiny things are more alluring. Wow great tips. Your pictures are priceless. Chicago is so on my bucket list for next year. I want to see the Chicago bean in person. I was fascinated by it when I saw it in a movie. Wow! You have great shots of the Bean! Love all your tips and will try this next time we visit Chicago. 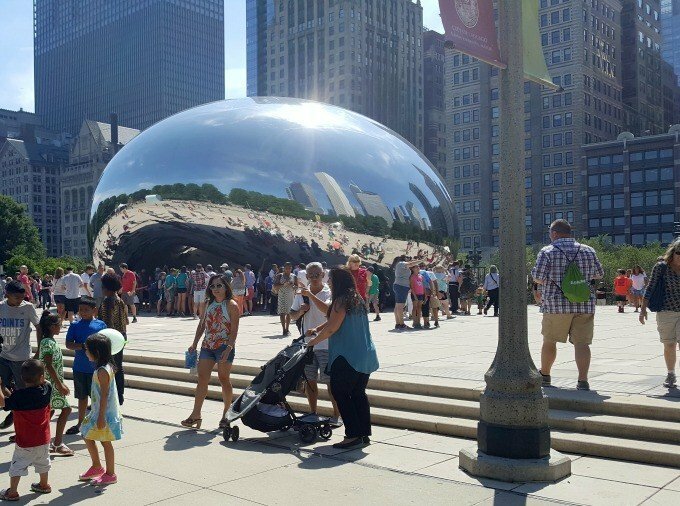 I always see the bean in photos and I’ve never had any idea what the heck it was. So now I know.Very interesting. Would be neat to see in person. You took some great shots! 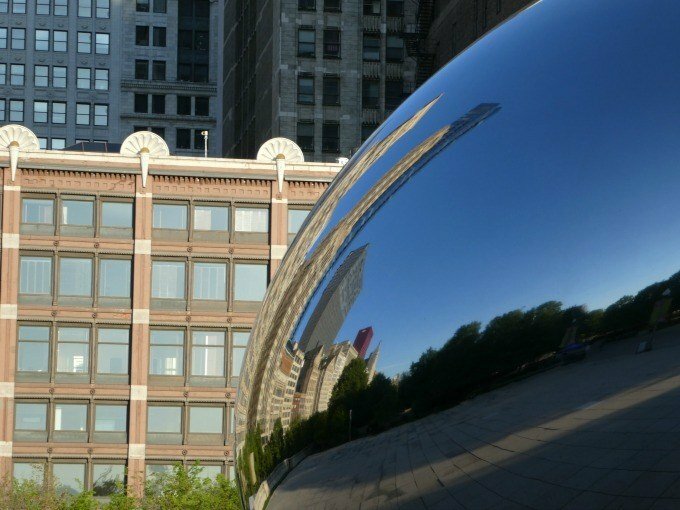 My very first travel article ever published was about Millennium Park. I worked only a block away, so I would go to the park at lunchtime and take pictures. Of course the park, especially the area around the bean, was always packed. So a few of days I took an earlier train into the city so I could photograph the bean before work, but it was never early enough. There always was at least one other person there. That’s such a cool sculpture! I can’t believe how early you had to get up to get a picture with no people! Those are wonderful shots. Mine are FILLED with people, everywhere and doing everything. After a quick selfie didn’t turn out so well, I gave up and just experienced it. Love the Bean. Chicago is a great city and this piece is just a fun part of it. Thanks for the tip to photograph it in a fun way. We visit it regularly, but I am too lazy to get up that early for a snap lol. You took some great photos. It’s impressive to see it without a billion people milling around it. Thanks for the tips. I’m planning on visiting Chicago next year and now I know to set my alarm for some people-less photos. I love visiting Chicago. The Chicago Bean is definitely a to-visit when you’re there, and this is a great tip for getting a good photo. The Bean is a really interesting structure to photograph. You can either take photos from a distance or really zoom in and get some great effects. I love all your shots.